Candidates shouldn't have any backlog at the time of IBM process. Last 3 months pay slip / hike letter. 1. 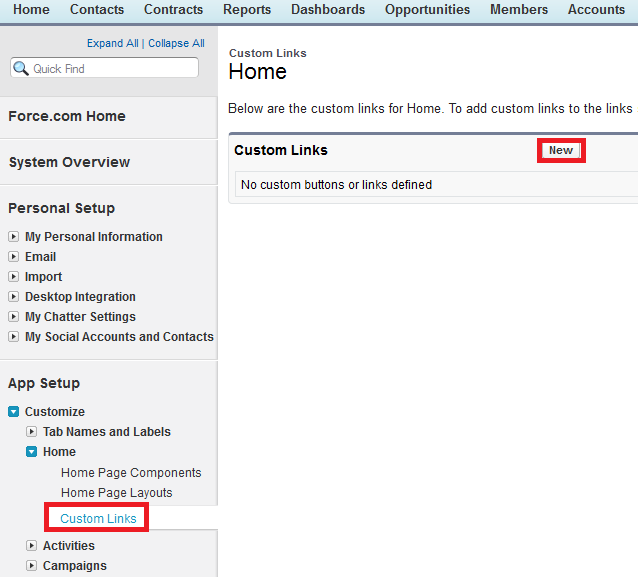 Create a custom link. 2. 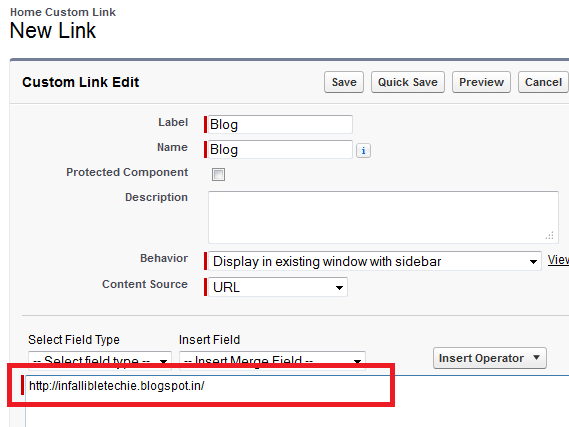 While creating tab or modify the tab with this custom link Splash link. 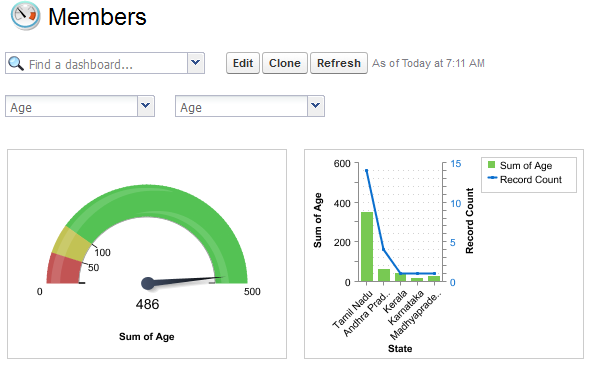 What will happen if a dashboard is runned in IST and a person with EST views it? 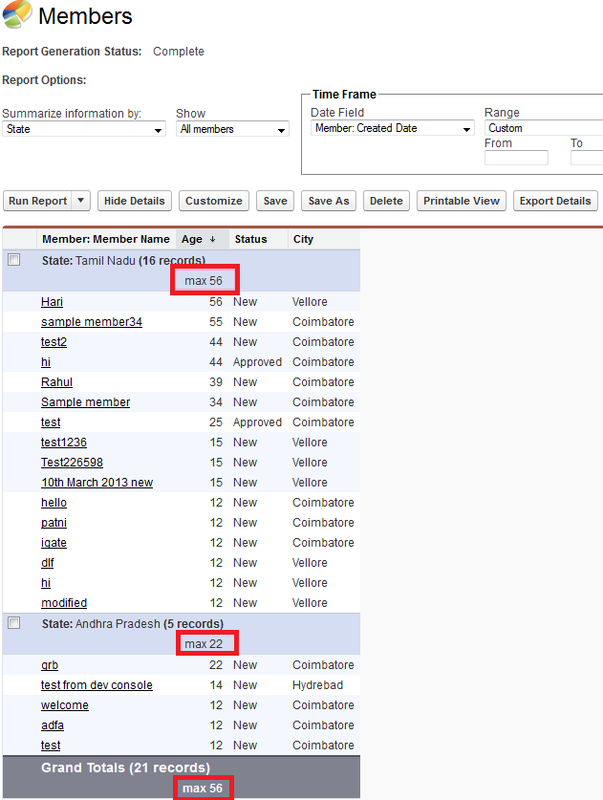 How to limit number of records to be processed per transaction in Batch Apex? The Database.executeBatch method takes an optional parameter scope. This parameter specifies the number of records that should be passed into the execute method. The limit for scope parameter is 2000. If the scope value is greater than 2000, it will consider as 2000 and then process. 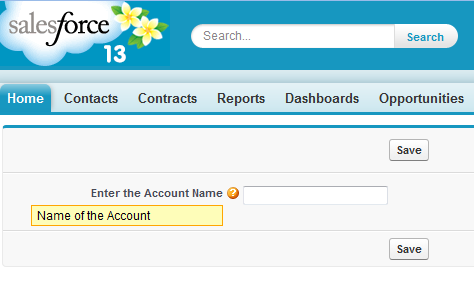 How to add help text or help bubble in Visualforce page? 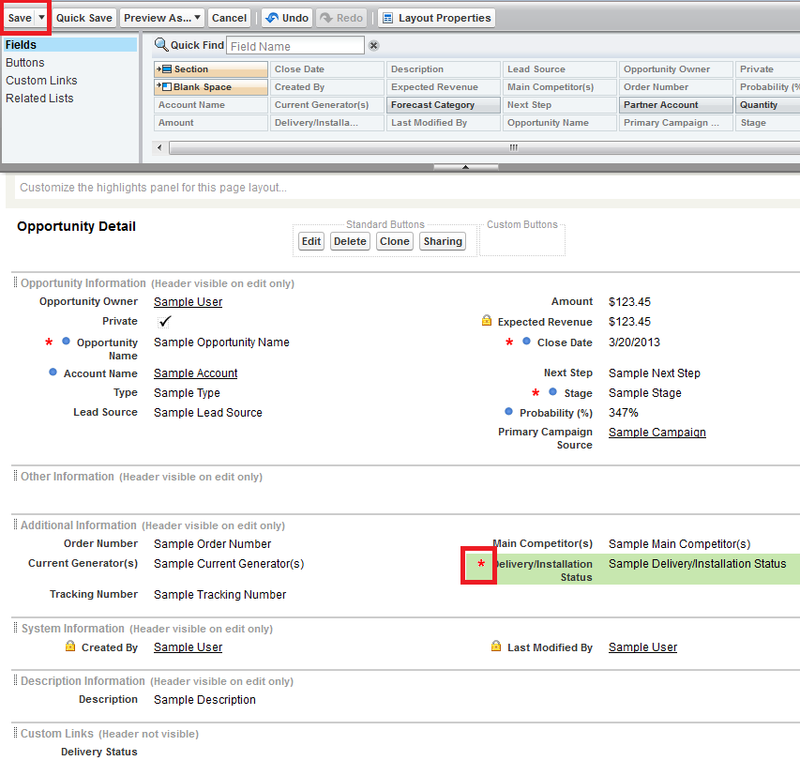 How to enable or disable collapsible Side bar in Salesforce? 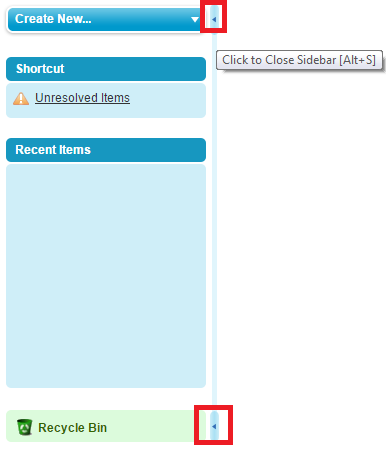 Go to Setup --> Customize --> User Interface and uncheck or check "Enable Collapsible Sidebar" check box. 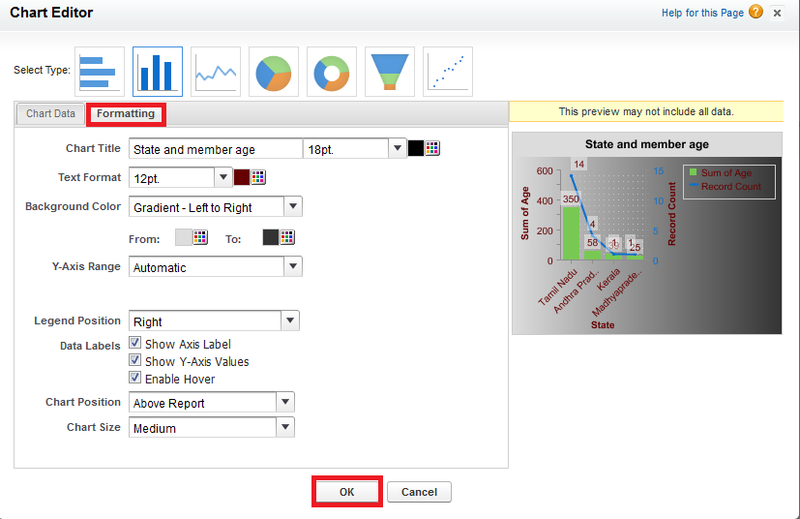 Go to Setup --> Customize --> User Interface and uncheck "Show Quick Create" check box. 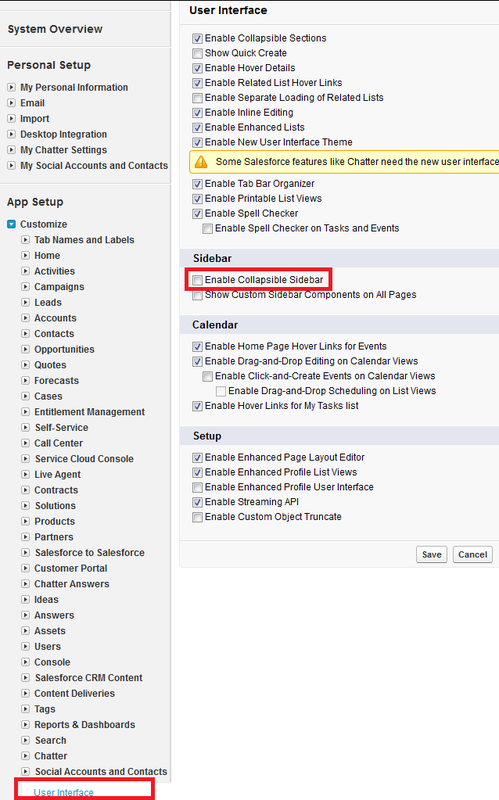 How to display a custom button when checkbox is checked in Salesforce? 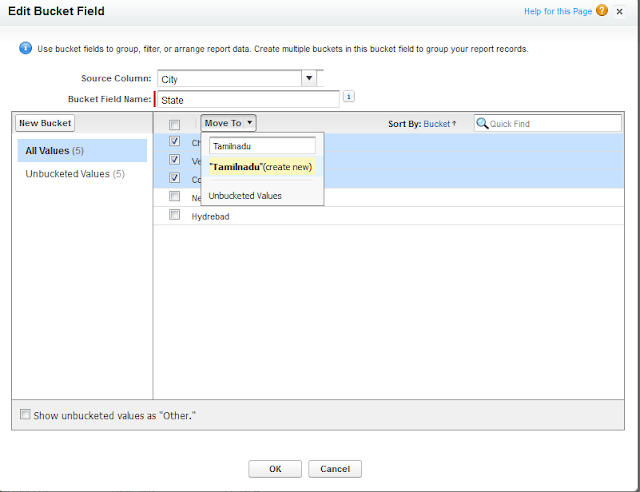 How to send picklist values from one VF page to another? 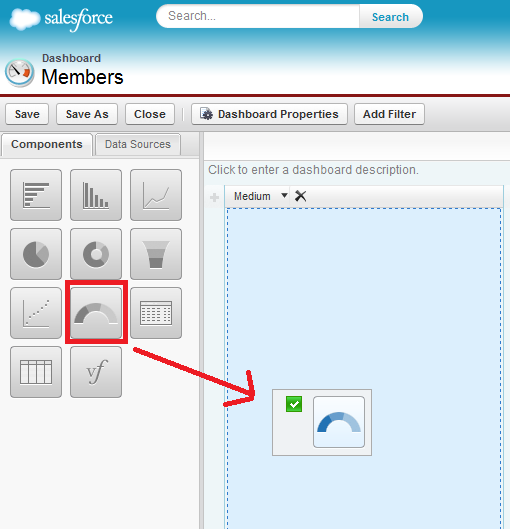 How to add combinational chart in Dashboard in Salesforce? 1. 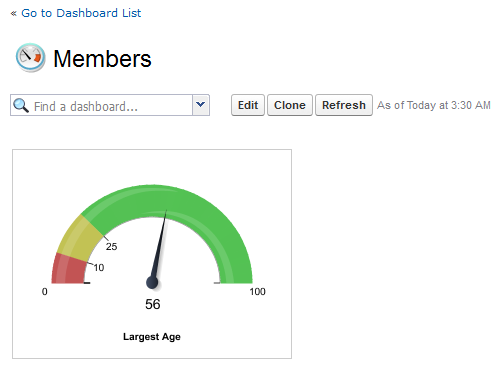 Drag and drop any Dashboard Component. 2. Drag and drop the report from the Source which has Combination Chart. 4. 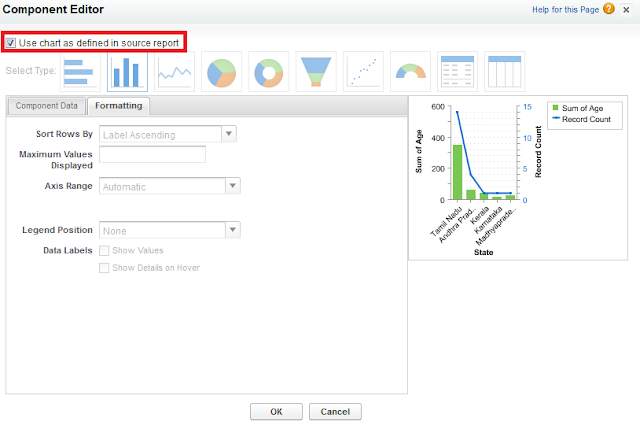 Check "Use chart as defined in source report" check box. 2. 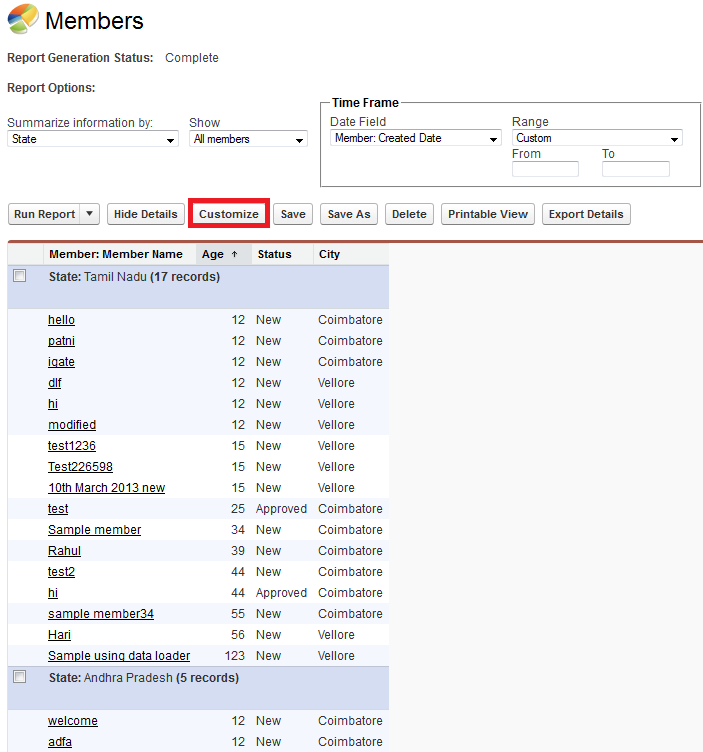 Click "Customize" button to edit the Report. 3. Click "Add Chart" button. 7. Check "Plot additional values" check box in Combination Charts for additional field to plot in the chart. 8. Select Line or Column in Display. 9. 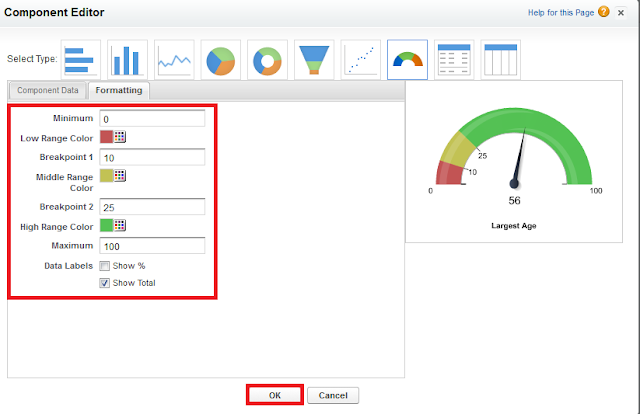 When adding a line to a vertical column chart, select Use second axis to show a separate axis for the added line on the right side of the column chart. 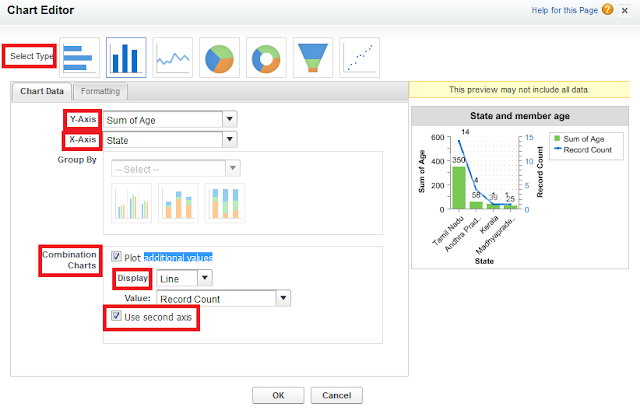 A separate axis can be useful when the two values have different ranges or units. 10. 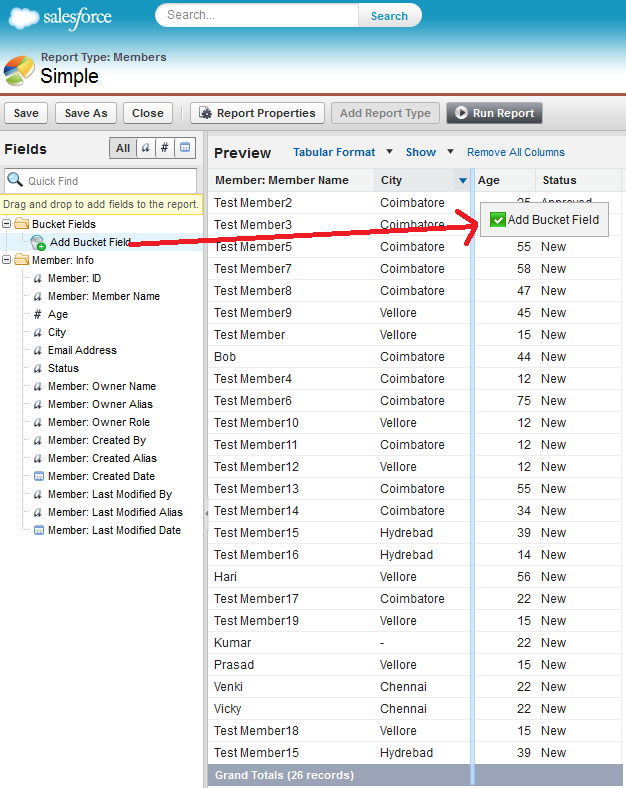 If it is "Column", we can add multiple columns. 11. Click formatting to decorate your Chart. 1. 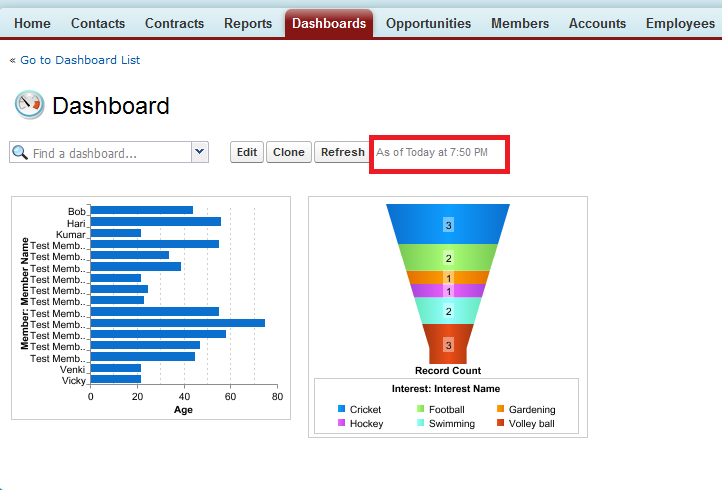 Click "Edit" button to edit the Dashboard. 2. 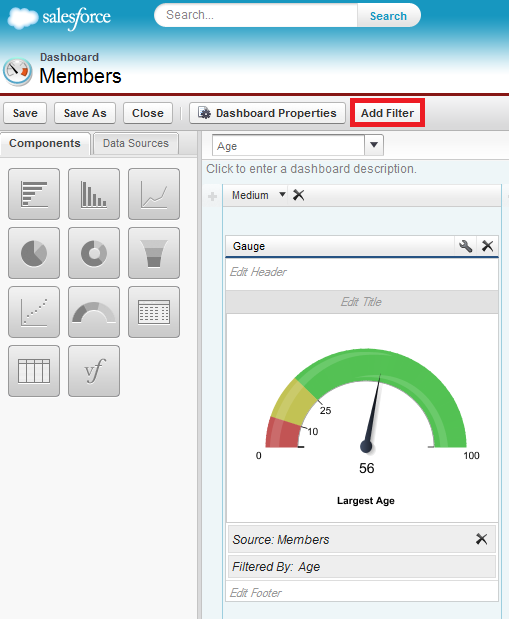 Click "Add Filter" button to filter the dashboard. 3. 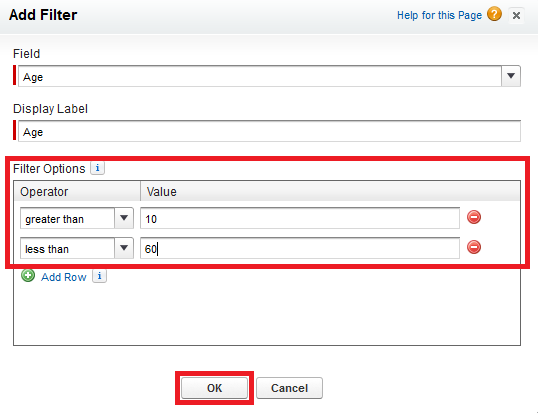 Enter the filter criteria and click "Ok" button. 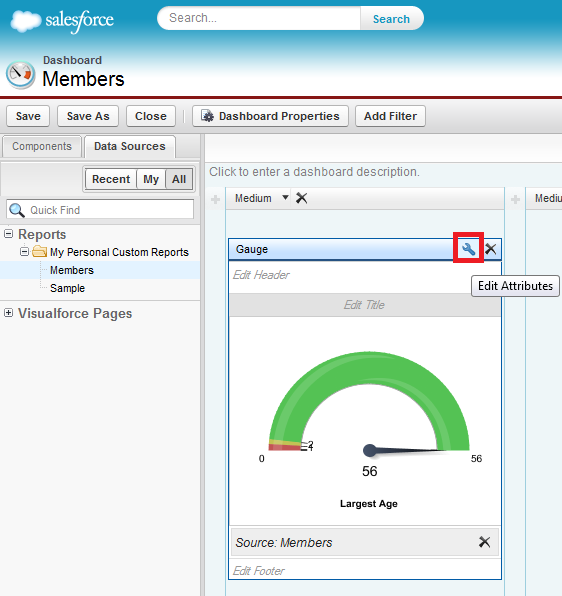 How to Create the Gauge Dashboard Component in Salesforce? 1. 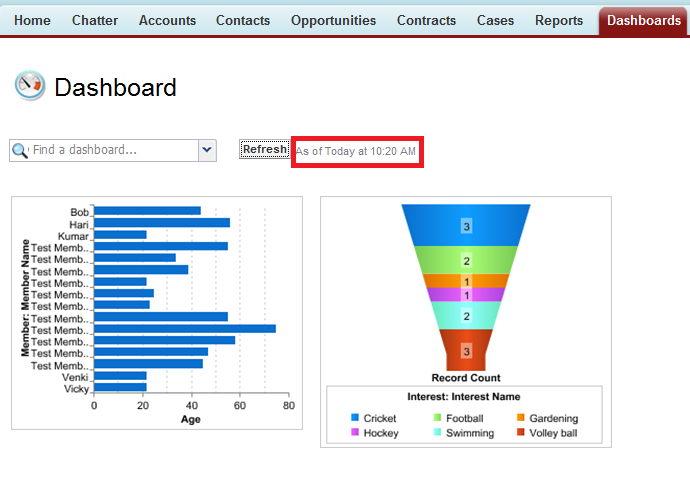 Click "New Dashboard" to create a dashboard. 2. 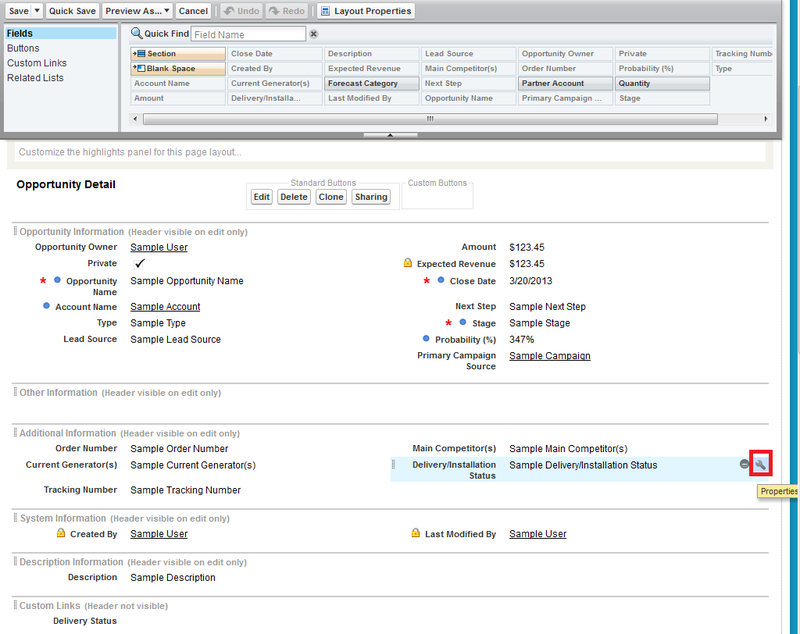 Drag and drop the Guage component. 3. 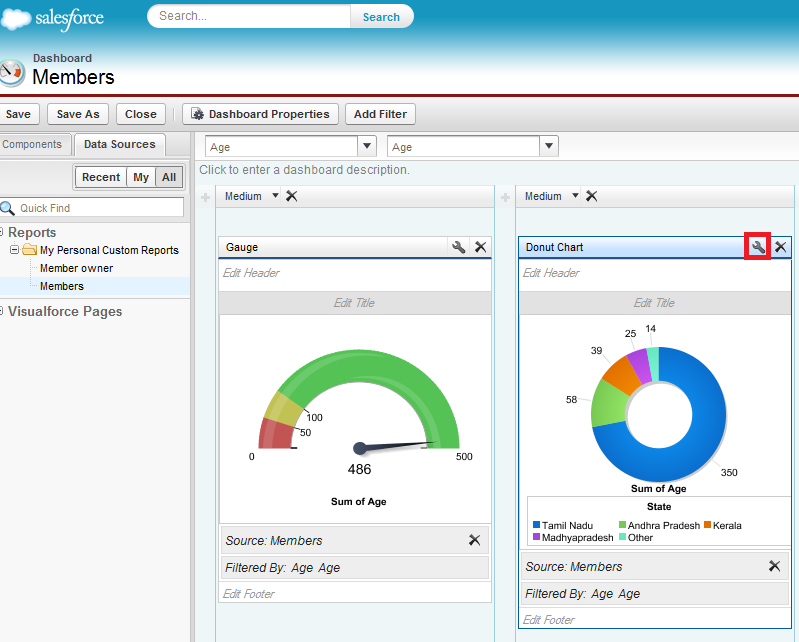 Drag and drop the report from the "Data Sources". 4. 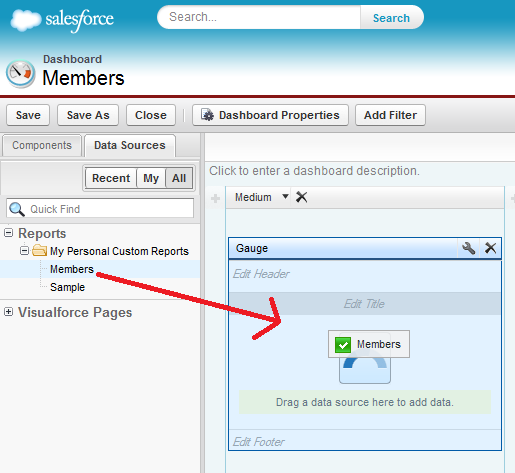 Click the "Attributes" icon to edit the break points. 5. Enter the break points and click "Ok" button. 3. 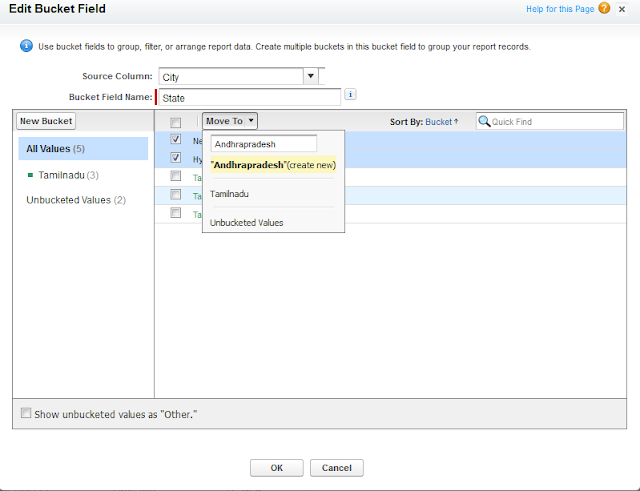 Click "Summarize this Field" under the field. 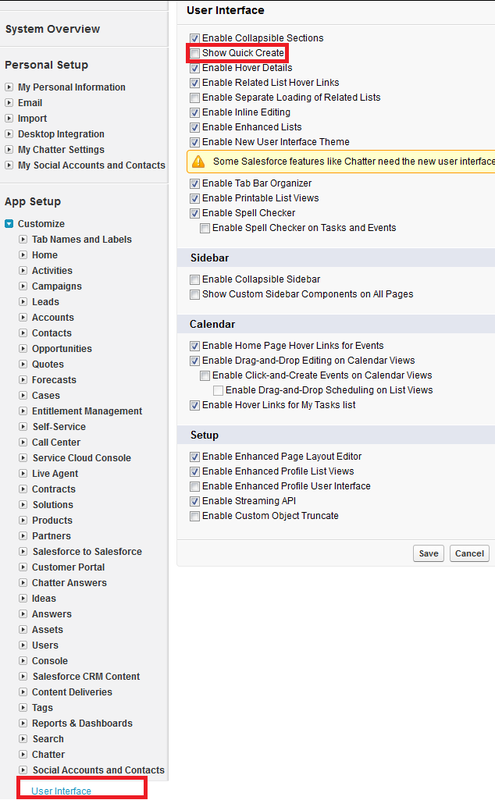 What is the use of Deployment Status while creating an object in Salesforce? 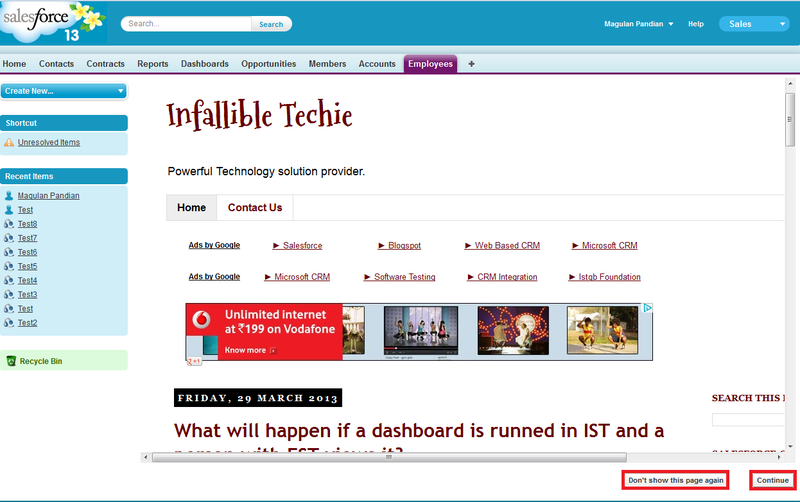 If it is "Deployed", then other users also can see it. If it is "In Development", then other users cannot see it. Web tab is used to have generic link in our organization. 1. In which object all Approval process are stored? 2. 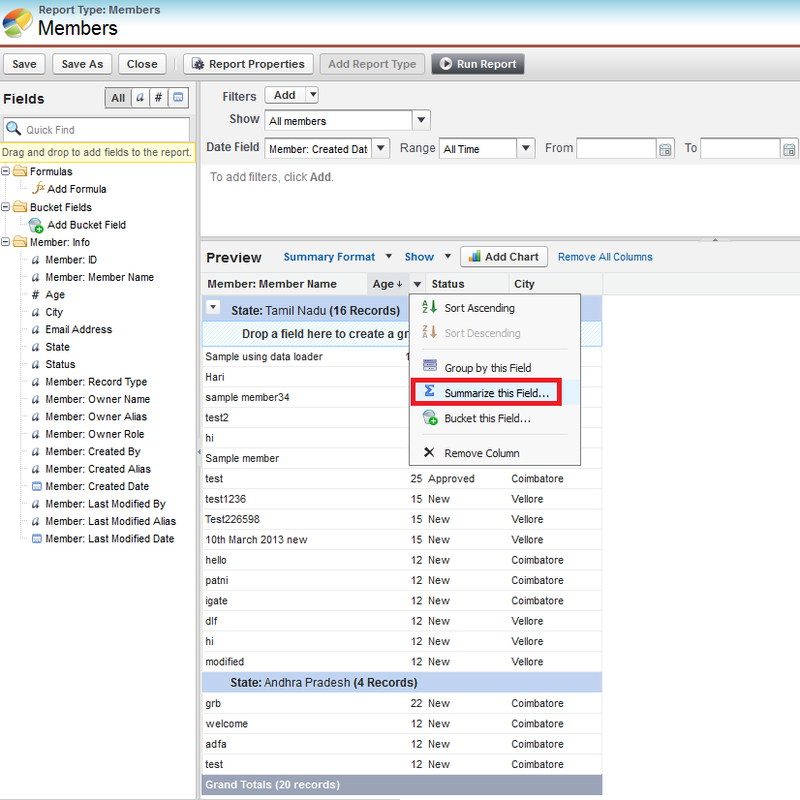 In which object all email templates are saved? 3. 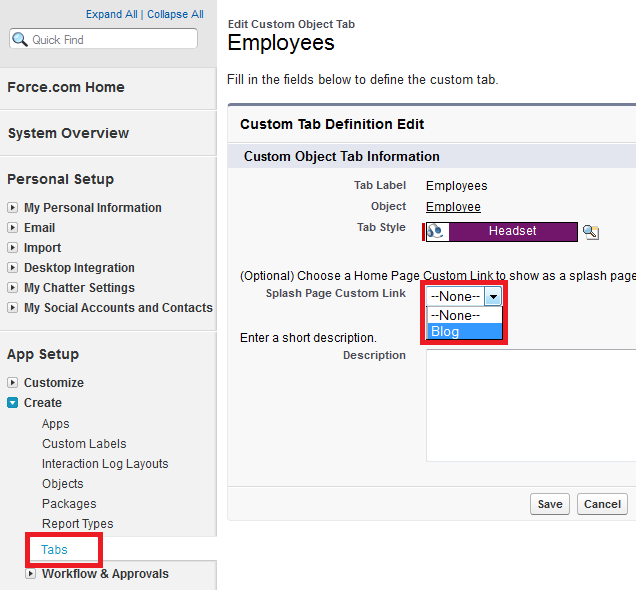 In which object all Account Team Members are added? 4. 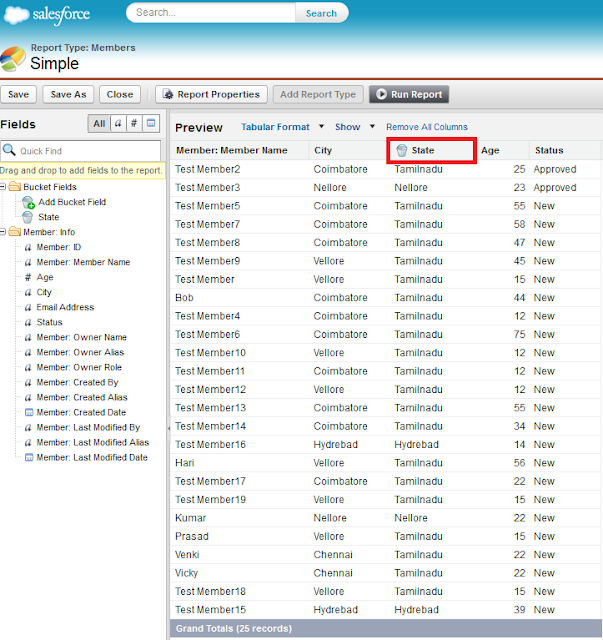 In which object all salesforce objects are saved? 5. 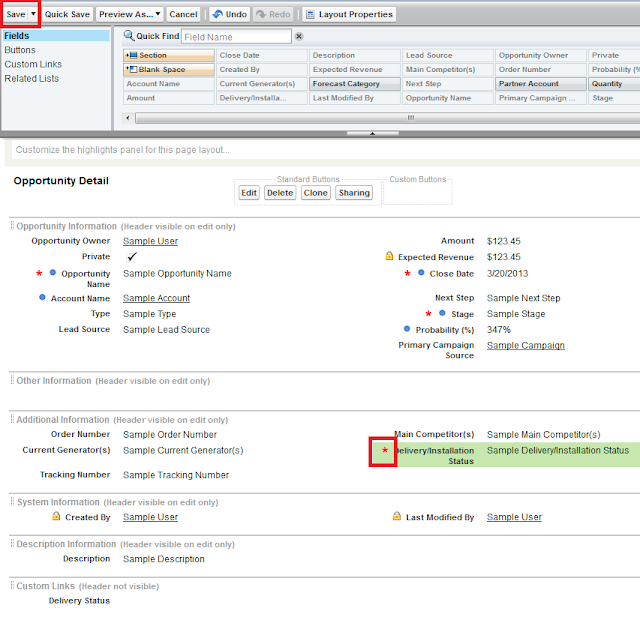 In which object all Opportunity Team Members are added? 6. 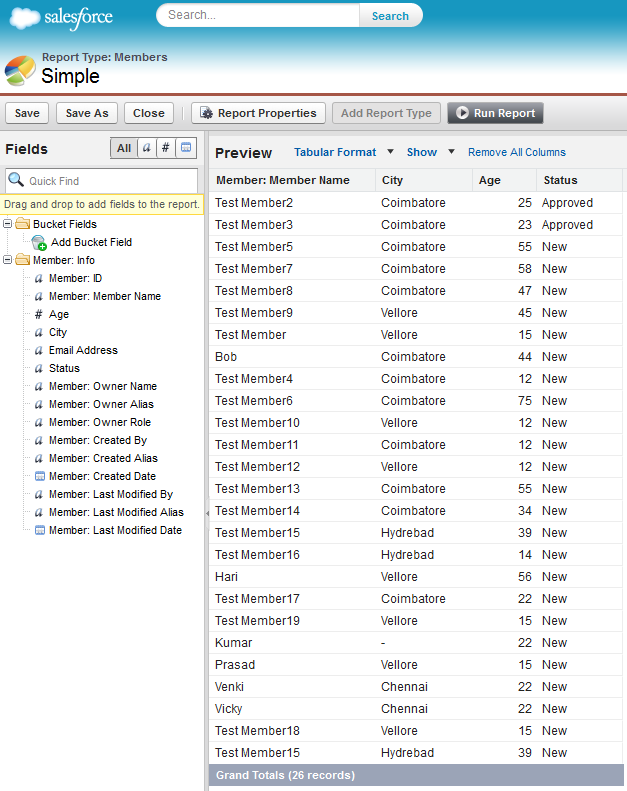 List out all the tables in salesforce? 7. 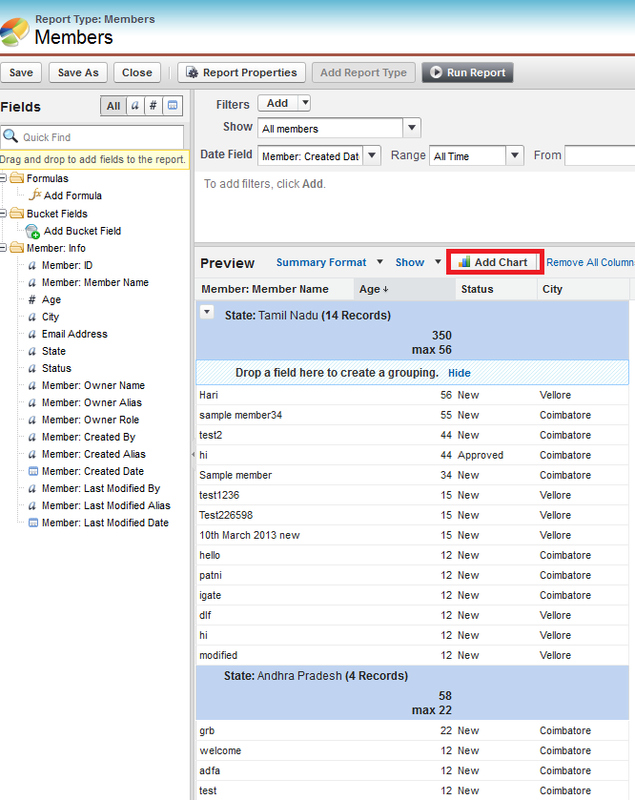 In Which object all Apex Pages are stored? 8. In Which object all Apex Triggers are stored? 9. In Which object all Apex Classes are stored? 10. Where Products are added? 11. In which object workflows are stored? 12. In which object Roles are stored? 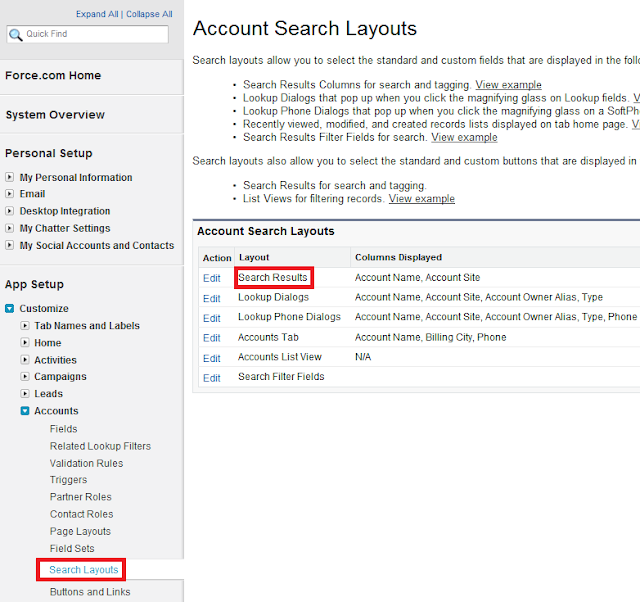 What is the use of Lookup Dialogs layout in Search layouts? 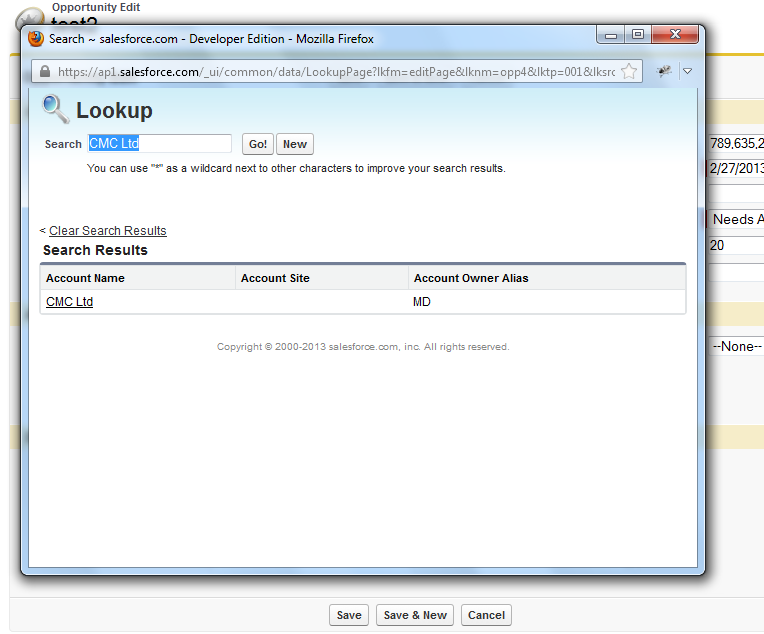 Lookup Dialogs is the pop up which appears when you click the magnifying glass on Lookup fields. 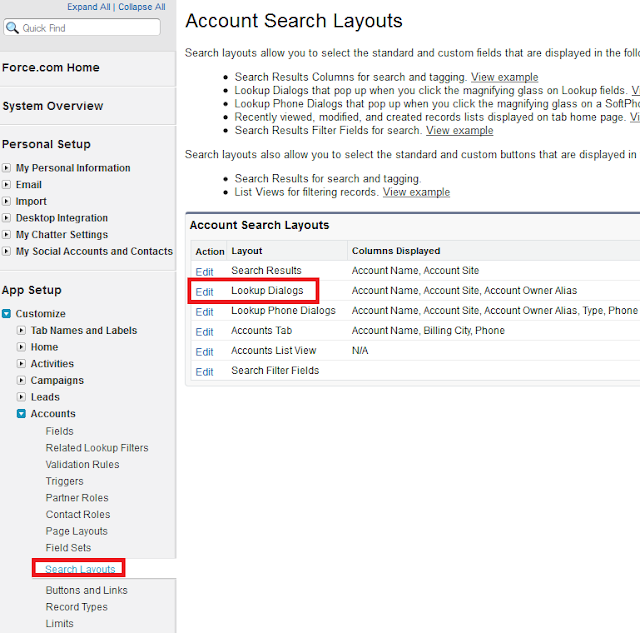 What is the use of Search Results layout in Search layouts? Search Results layout in Search layouts is used to display fields for users in search results. 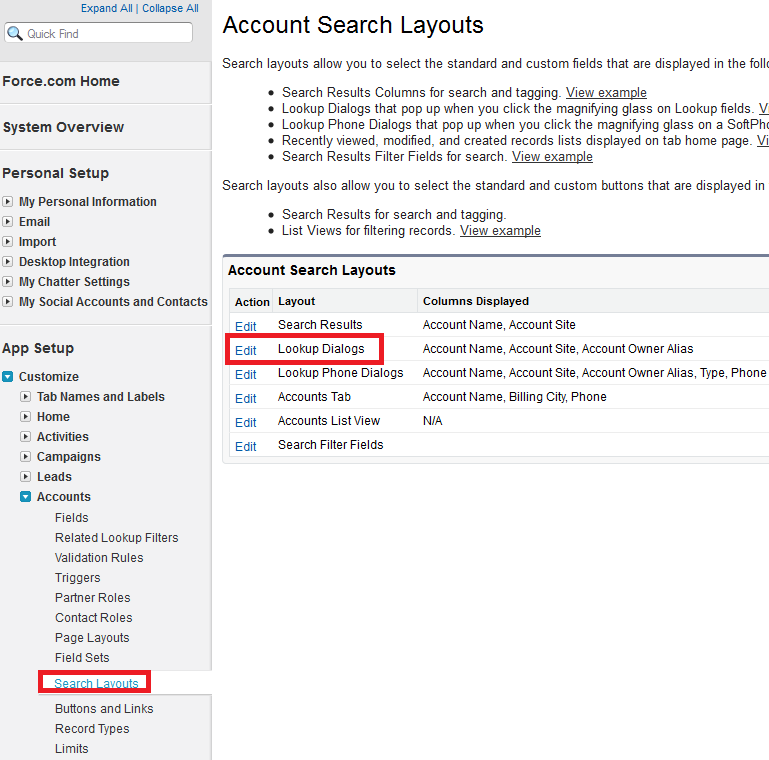 If the user's profile has "Customize Application" permission, then the user can edit Search Layouts. 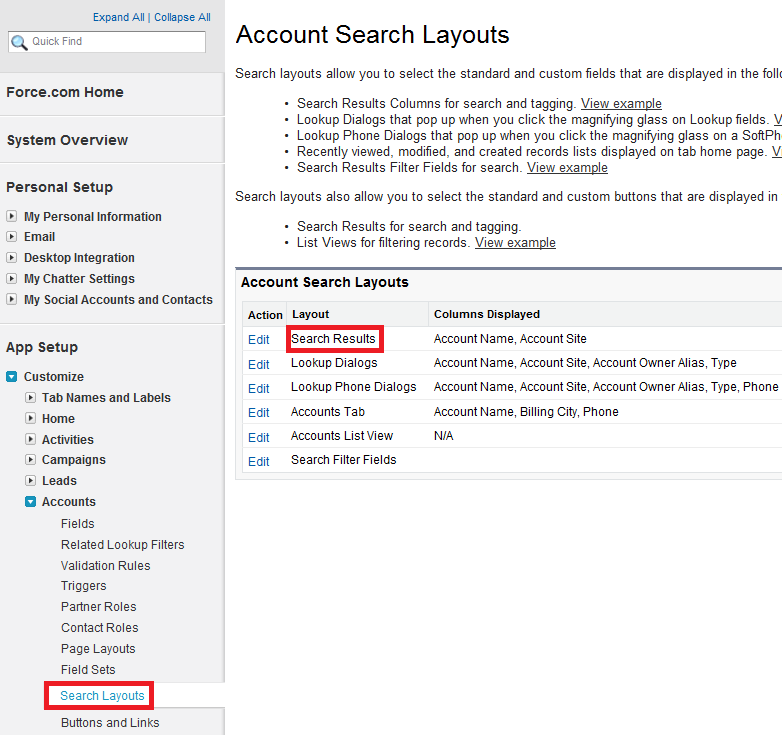 When editing a search results layout for an object, you can select the Override the search result column customizations for all users checkbox. 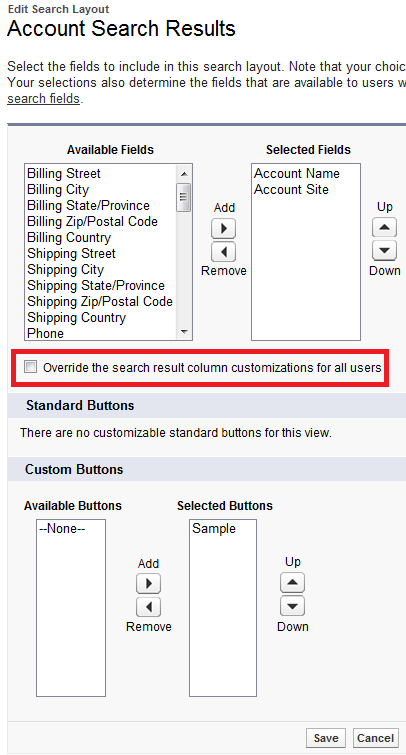 If selected, all user column customizations within your organization will be overwritten and set to the organization-wide default settings. How to remove none option on a picklist in Salesforce? 1. 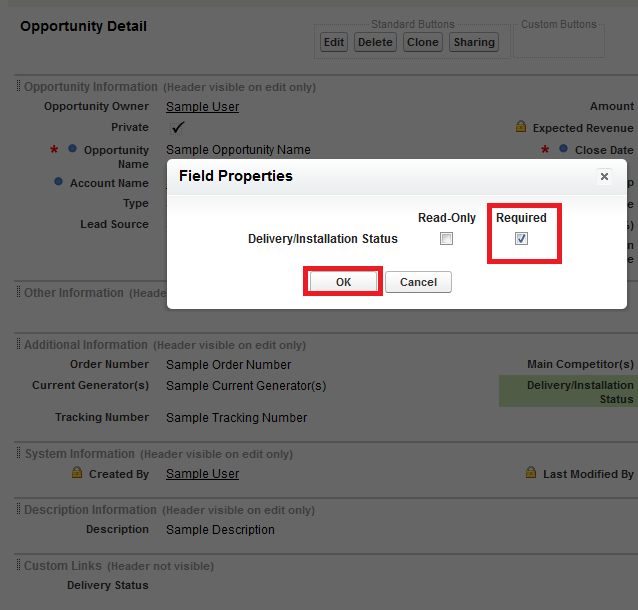 Edit your page layout and make your picklist field a required field by clicking on the properties and checking "Required" check box. 3. Save the the changes to the page layout. This will remove the "-None-" as an option in the picklist. 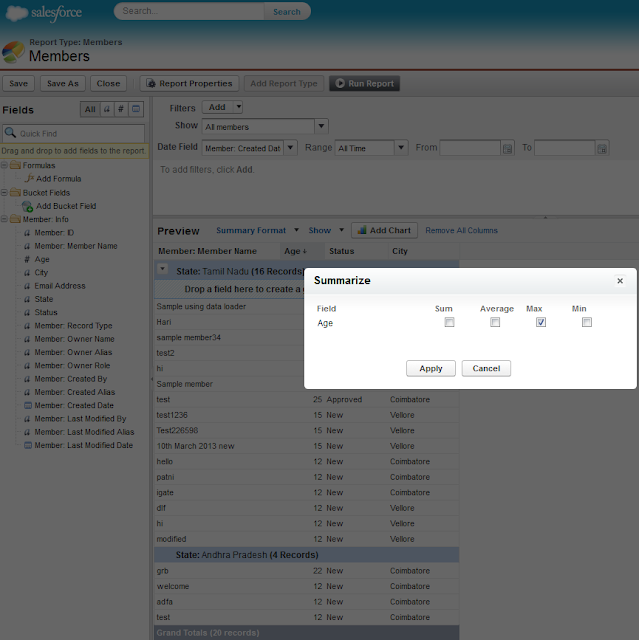 What is the use of Replace in picklist in Salesforce? 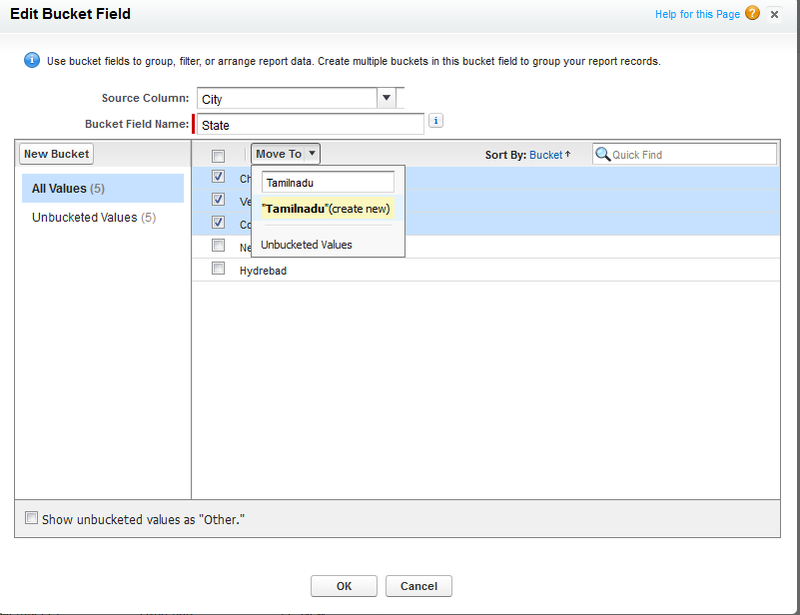 Use this page to globally replace an existing value in a picklist with a new value. 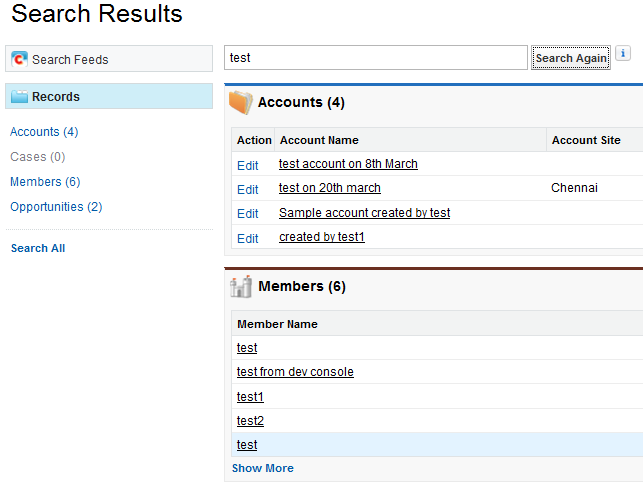 Make sure that you have created the new value in the picklist edit page. Note that replacing an existing picklist value will also change the Modified By date and time for the record.